Kiev (AFP) - Pro-Western President Petro Poroshenko faces a stern test of his unpopular belt-tightening measures and stuttering anti-corruption drive when Ukraine votes in local elections Sunday that exclude the pro-Russian separatist east. 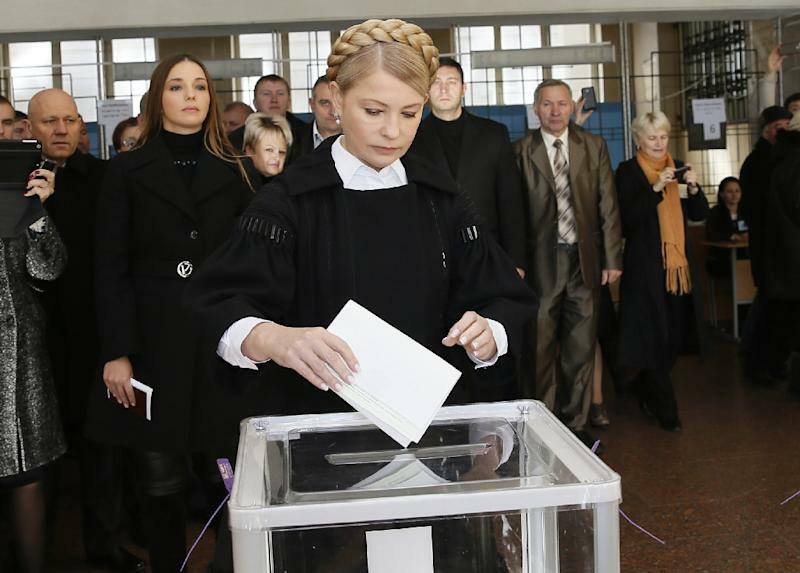 The polls come during a lull in fighting and amid growing worries that Ukraine is slipping off the global agenda despite just turning into Europe's second-poorest country and still standing as a bulwark against Russia's feared expansion west. Twenty months have passed since the ex-Soviet nation sparked the world's imagination through unceasing protests that toppled a despised Kremlin-backed leader and appeared to anchor Ukraine's future with the West. But Russia's subsequent annexation of Crimea and the pro-Moscow eastern revolt that followed in which more than 8,000 died have seen the nation of 40 million stripped of its most strategic naval bases and industrial heartland. 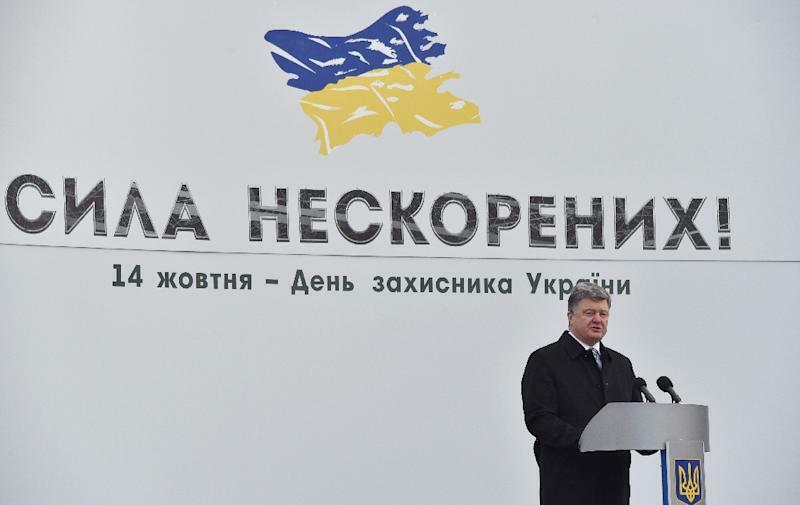 The prospects of Kiev winning back the Russian-run Black Sea peninsula now seem remote. Many further fear that the eastern insurgency is turning into a "frozen conflict" whose terms are dictated by Vladimir Putin -- the Russian strongman who denies orchestrating the war in revenge for Kiev's decision to slip out of Moscow's orbit. 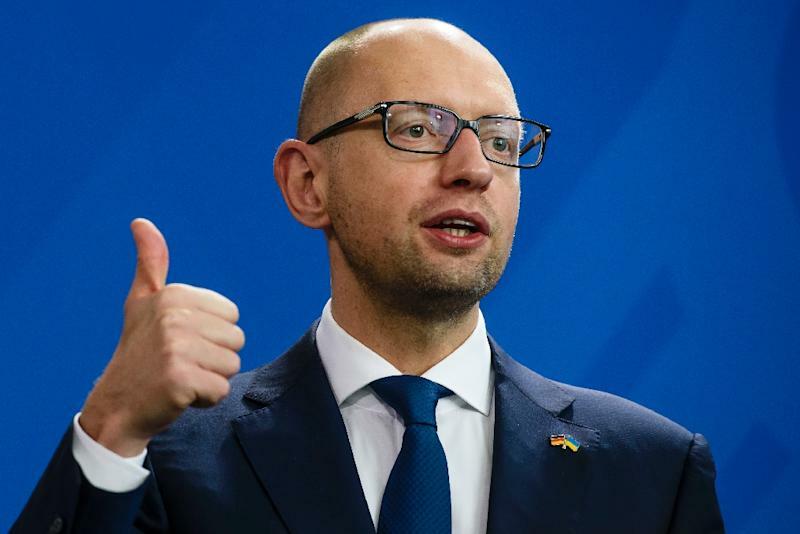 The popularity of Poroshenko's government has since fallen so sharply that Prime Minister Arseniy Yatsenyuk -- his approval ratings reported at a few percentage points above zero -- is not even fielding candidates from his party in the polls. The public's frustration at the West's refusal to arm Ukrainian forces and only provide financial help, with tough austerity strings attached, has bolstered the odds of the far right and the pro-Russian groups gaining ground. Such an outcome could prompt Poroshenko's loosely-knit coalition to splinter which would in turn imperil his pledge to apply for EU membership by 2020 and to make the shrivelled Soviet-era economy transparent and streamlined. "With poverty growing, people may come out running to vote for the populist parties," Anatoliy Oktysyuk of Kiev's International Centre for Policy Studies told AFP. "These elections are brutal and dirty. And they may not live up to our Western partners' hopes." The demoralised mood of voters has been picked up by an astonishing 132 parties that use boastful slogans and colourful characters to draw in the media and prompt endless TV debates. The Opposition Party -- built from the ashes of the toppled Moscow-backed leadership -- has peppered the streets with posters promising "Prosperity and Peace". Former 2004 pro-democracy Orange Revolution leader and ex-premier Yulia Tymoshenko demands a "professional army and fair tariffs". The fiery and divisive political survivor is expected to do better than her disappointing sixth place showing in last October's parliamentary vote. But few candidates or parties appear to be focusing on actual local issues. Prominent pro-EU protest member Vasyl Arbuzov said the Poroshenko-backed candidate for mayor of the historic Black Sea port of Odessa "appears to know little about the city's public toilets or have any idea what he is getting himself into." Poroshenko's Solidarity party is still projected to grab the biggest number of the mayoral seats and local legislatures up for grabs. But his perceived inability to deal with a handful of tycoons who many feel ultimately decide the country's future has seen his own ratings slip to less than half of what they were when he became president in May 2014. "Ukraine's politics suffer from a vicious circle of corruption," said Anders Aslund of the Washington-based Atlantic Council. "Its elections are extremely expensive. Large amounts of grey and black funds are needed to finance them. Criminals, called grey cardinals, handle this black financing, extracted from the state treasury and state companies." Poroshenko's confident promise the day after his presidential triumph to make the eastern campaign "shorter in terms of timeframes and more efficient" has also done little to help his cause. The rebel-run parts of the Russian-speaking Lugansk and Donetsk regions are not only boycotting Sunday's elections but also planning their own for early next year. Their decision underscores how little Poroshenko has achieved in the course of an 18-month campaign that has involved 83,000 frontline soldiers and cost $5 million (4.4 million euros) a day. The insurgents intend to bar pro-Kiev candidates from their polls and accuse Poroshenko of committing "genocide". "The Kiev authorities are living in a parallel world -- a sort of virtual reality," Donetsk separatist leader Alexander Zakharchenko said on Tuesday. "They not only fail to understand what is really happening here -- they simply refuse to understand."